Want to add a touch of elegance to your home? Would you like it to look expensive but not be expensive? And would you like it to be super easy to do? SimpleStencil.Com has exactly what you are looking for, and right now you can win $30.00 worth of product free. Keep reading to find out how. 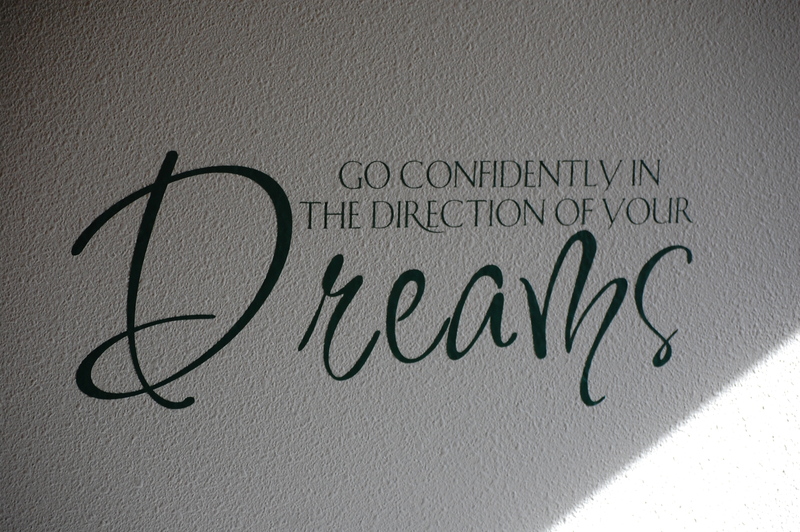 I absolutely love the way stencils look on walls, but I do not have the talent to paint one in place. I figured the only way I would ever have one is if I paid big bucks to an artist. I don’t have any big bucks; in fact, I am kind of short in the department of small bucks. Luckily, Simple Stencil has high quality merchandise for a very affordable price. Even more fortunate, these stencils are super simple to apply! I put one up in just minutes. Step one — I read the directions. They come with pictures so it was super easy. After I applied the practice stencil it was time for the main event. The photo below shows you all of the tools and equipment you’ll have to gather to do a quality job. 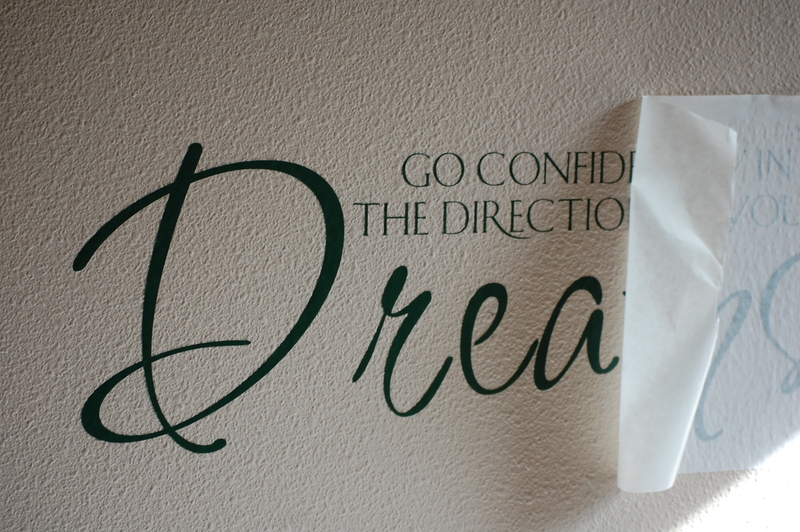 Step Three — Find the center of the area where you’ll be applying your stencil, then tape it to the wall by the top edge only. 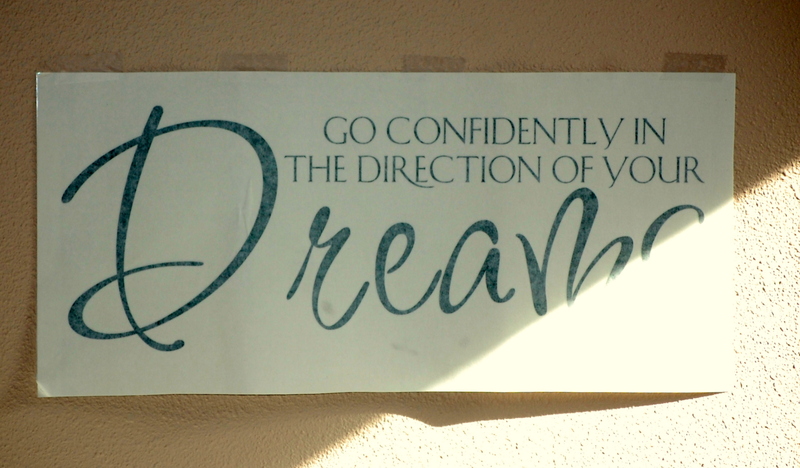 Now, walk across the room and look at your stencil. Is it straight? Is it perfectly centered? Make any corrections necessary and check again. I live in the Pacific Northwest where the sun is rare, and here it is peeking in my window right where I want to work. I considered being annoyed with it, and then realized it was wonderful. Keep your eye on that strip of light and it will help you gauge exactly how long this project took. 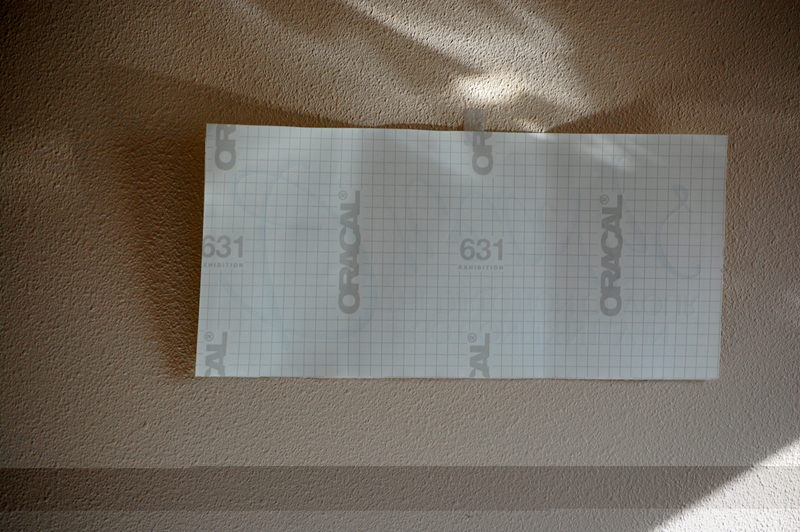 Step Five — carefully peel the backing of the stencil. Do this slowly to make certain none of the stencil adheres to the backing. If the stencil should stick, recover the area with the backing, then even more slowly uncover it, bending the backing a bit more sharply to encourage release. 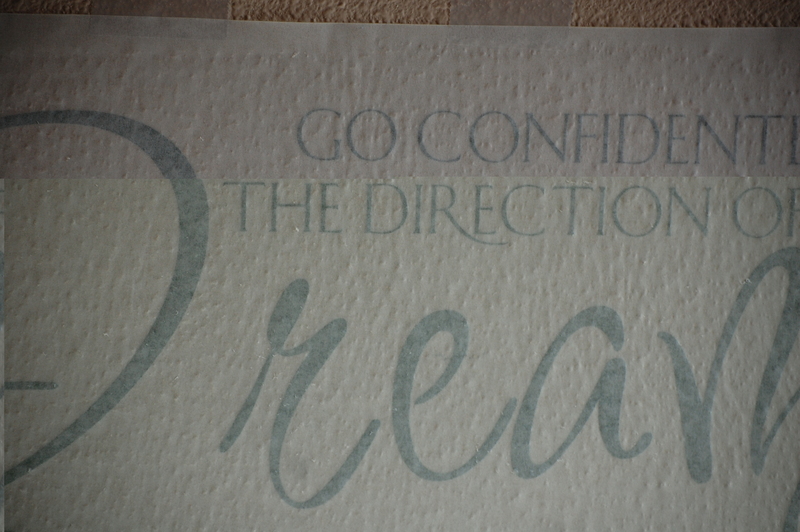 Step Six — Once the backing is removed hand smooth the stencil onto the wall. The backing is tacky but easily movable. Step Seven — Using a Popsicle stick, tongue depressor, or the handy-dandy plastic scraper included, firmly rub over the semi-transparent backing. This will help transfer your stencil from the paper to the wall. Rub from the center outward, using the applicator like a squeegee to remove any air bubbles or wrinkles. Since there is only one of me, I could not photograph the smoothing process, however, I took this close up shot so you could clearly see the stencil pressed against the wall. Now, lets talk about my wall. Obviously it is textured. I wondered how much trouble that would cause me in applying this stencil. The answer is, none. The stencil went up easily and is secure. Step Eight — This step is one I learned while doing the test application. The tape I used to hold the stencil to the wall is much tackier than the stick’em on the semi-transparent stencil sheet. 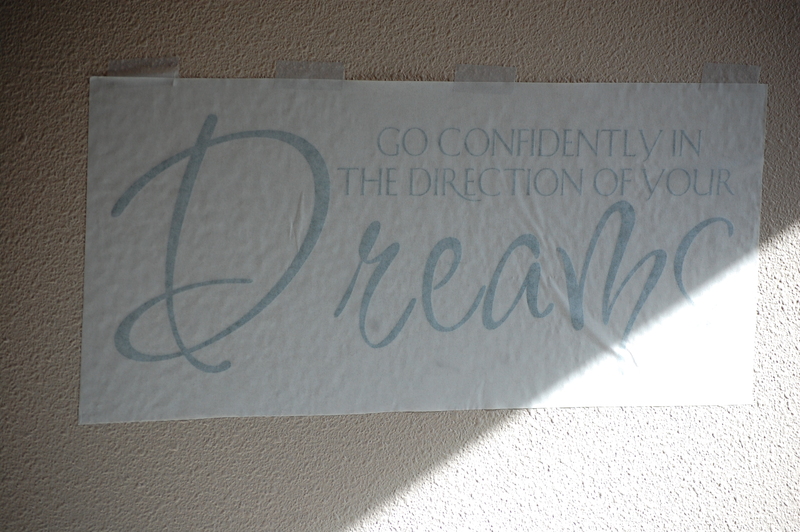 When I was trying to gently and carefully peel the facing off the stencil, I also had to stop and hassle with the tape. To eliminate that issue, just pull the tape free of the wall and tuck it out of the way before you began the peel. Step Nine — Cautiously peel the semi-transparent backing off the stencil. Work slowly. And watch the letter edges. If they stick to the facing rather than the wall, back up a bit (I love this tacky paper, nothing can slip out of alignment!) and give that piece an extra rub. If it still sticks to the paper, back up again and catch just the merest edge of the letter with your fingernail and hold it to the wall. Once the edge sticks, the remainder will as well. 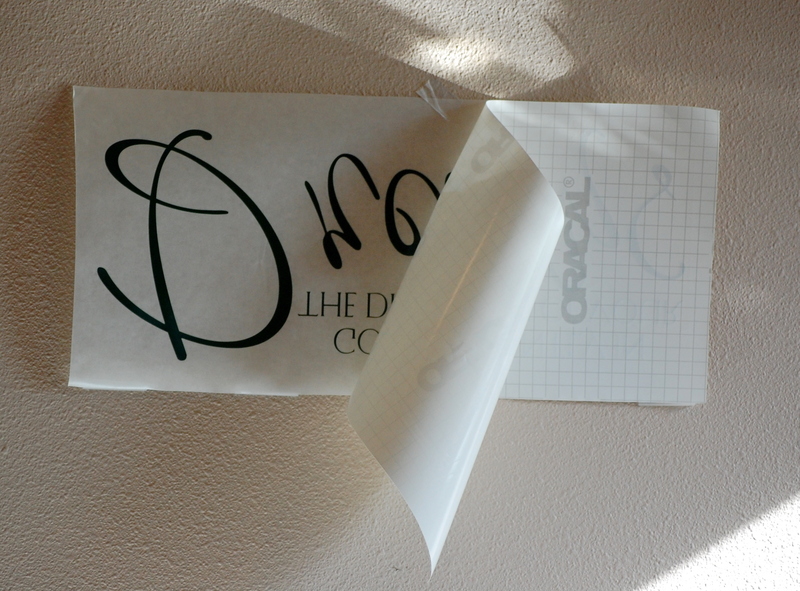 Step 10 — if you have a large stencil you will want to trim the backing as you peel. I accidentally allowed the tacky backing to touch the applied stencil, and I had to again carefully peel it off because the stencil was perfectly willing to transfer back onto the paper. 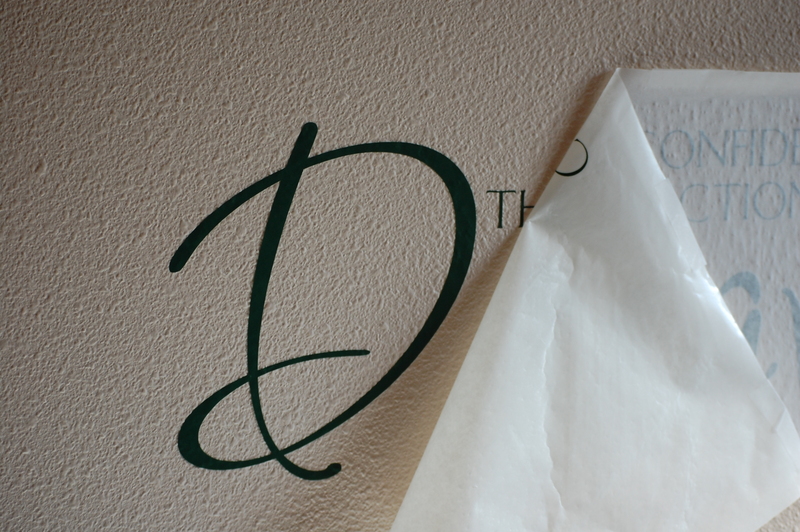 Once you have completely removed the semi-transparent facing paper, take your finger (nothing hard or sharp) and gently rub over your stencil securing any loose edges to the wall. Note the movement of the sunbeam. It took me about 20 minutes to complete this project. I think it looks great. TheSimpleStencil.Com, has generously provided me with a $30.00 gift certificate for one of my lucky readers. If you want to be entered in the drawing, visit TheSimpleStencil.Com and tell me what it is that you think would look great on your walls. You can also check out The Simple Stencil on Facebook where you’ll receive special offers not available anywhere else. They’ve got one up now for free product I just may be taking advantage of. And don’t forget to follow them on Twitter to make certain you receive up to the minute news on sales, specials and secret discounts. For ideas, special promotions and other news, sign up to receive The Simple Stencil newsletter. Their latest one features a project I just may tackle next! I applied 2 stencils to my walls last year. They came from Kohl’s. I am amazed at how easy they are to apply. I am also amazed at how well it adhered to your textured wall. LOL! 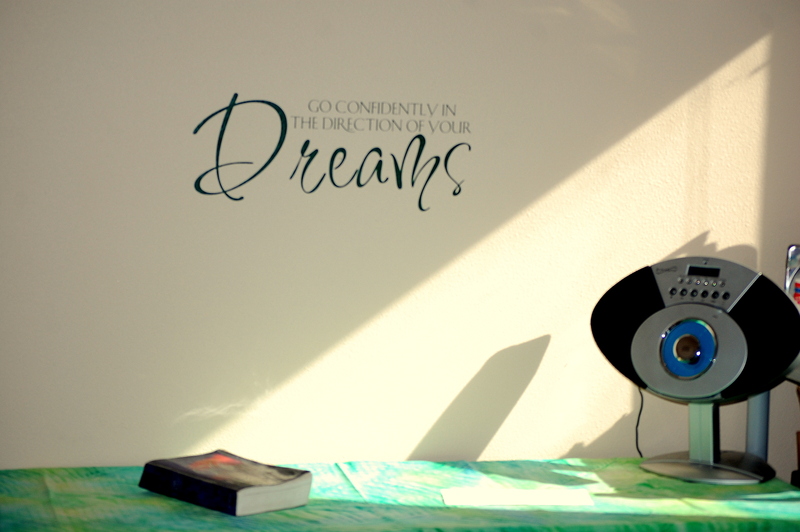 I JUST put one of them up in my room yesterday — says “This is the day the LORD has made…” I LOVE it! I got mine through Day Spring. loved to the moon and back”? Cool! I liked “Every artist was first an amateur” (Emerson) under the customizable sayings. This is so beautiful and perfect over your work space. It would be hard to narrow down but I think Our daily Bread. It would fit perfectly on a little wall at the end of our kitchen cabinets.